This posting summarizes some of the national and global activities in which Vancouver Unitarians have been engaged over the years. Activity in various areas ebbs and flows as members and issues change. If you are curious about possibilities in this wider UU community, these entries can serve as starting places. Keith Wilkinson, Board member 2015-2018, and immediate Past President. Following in this tradition of involvement, UCV’s Director of Religious Education, Kiersten Moore, has just begun her first three-year term as a CUC Board member (2018-2021) and is serving as CUC Board Secretary. Rev Debra Thorne, a former UCV member and Lay Chaplain and now Parish Minister at Beacon Unitarian Church in New Westminster, is UUMOC’s Minister Observer to the CUC Board. Read more about the CUC Board, see their pictures, and read about the May 2018 Conference in the June 2018 CUC eNews. 2019 CUC AGM – The UCV Board will need to select and prepare delegates for the 2019 CUC AGM. This will be conducted person to person in Toronto and online across Canada using zoom. Typically, the CUC Board will meet in Toronto with Greater Toronto congregational delegates who wish to attend in person. Others across Canada can sign in electronically. UCV will be entitled to 7 or 8 voting delegates depending upon official membership numbers in September 2018. If you’re a UCV member and would like to be considered to attend as an official delegate, please speak to someone on the UCV board. The official CUC AGM will probably be on the weekend before the Victoria Day long weekend, that is, on Saturday 11 May 2019. (Victoria Day is 20 May 2019.) AGMs are open to all members and friends, but only formally appointed delegates can speak to and vote on resolutions. There will probably also be an informal sharing of ideas at a Cross Canada Dialog on the Friday evening of 10 May 2019. These dialogs are open to all members and friends and are often lively and respectful exchanges of views about controversial, critical, and emerging national and global issues. These sessions are sometimes set up as resolution plenary sessions if formal resolutions are being presented at the AGM. The CUC’s National Conference in 2020 will take place in Halifax, Nova Scotia from May 15 – 17, 2020. Once again, the 2020 AGM will be available face-to-face or globally online. The Parliament of the World’s Religions was created to cultivate harmony among the world’s religious and spiritual communities and foster their engagement with the world and its guiding institutions in order to achieve a just, peaceful and sustainable world. UU-UNO Spring Conference New York City, 11-13 Apr 2019. The UU-United Nations Office is a program that connects the UUA to United Nations work. Canadians have been participating in a variety of ways including donations and youth visits to the UN. Encourages emerging UU groups globally. Approx 30 members and emerging national groups from Africa, Australia, Europe, India, Phillipines. Canada has had members serving on the Executive for many years. The CUC makes charitable donations annually for ICUU work that meets the requirements of the Canada Revenue Agency (CRA). The Vancouver Partner Church program is one of 186 partnerships facilitated by the UUA’s Partner Church Council. Here is a list of the 186 UU partnerships around the world. If you travel, visit! The central organization for the Unitarian Universalist (UU) religious movement in the United States. Over 1,000 member congregations. In 2001 the CUC and the UUA agreed that many services for Canada should be organized through the CUC. (An important exception is the training and certification of UU ministers.) A few Canadian congregations remain members of both the UUA and the CUC. UUA continues to develop many resources that can be of value to Canadians. In 2016 the CUC Board identified these as opportunities CUC should pursue. UU-UNO – A program that connects the UUA to United Nations global work. In past decades, Canadians have been active participants in this program and the CUC still makes charitable donations annually for designated global projects that meet the requirements of the Canada Revenue Agency (CRA). The next UU-UNO Spring Conference in New York City is 11-13 Apr 2019. Regional gatherings – The CUC is organized into four regions, currently BC, Western, Central, and Eastern. A range of gatherings are regularly scheduled for different age levels and interests. 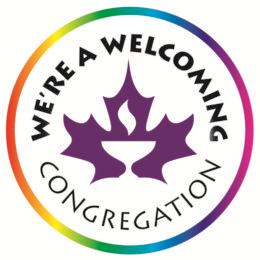 Check the websites of BC’s 12 congregations or the other 34 congregations across Canada for local events. Visit them when you travel. The CUC was formed in 1961 operating with support from the American UUA. 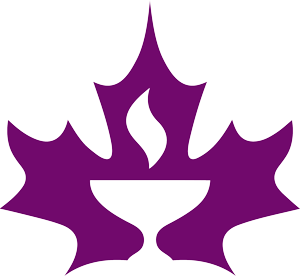 On 1 July 2002 the Canadian Unitarian Council became the main association and service provider for Unitarians and Universalists in Canada. In 2018 there were 46 member congregations of the CUC. Visit the CUC website to learn more about the programs and services supported by the CUC. See Milestones in CUC History 1940-2002. Annual Program Contribution (APC) from all members congregations – currently based on membership size, but an alternative may be recommended in 2019. Event registration – Many CUC programs and conferences include a revenue component to help them be self-sustaining. CUSJ describes itself as “A national faith-based organization that supports Unitarian values through action”. It has a number of very active campaigns and publishes a newsletter regularly. CUSJ is a not for profit non-charitable national organization that operates independently from the CUC so that it can take political action beyond what would be allowable for the CUC as a charitable organization. CUSJ was formed in 1996 has regional chapters including Vancouver Island & Gulf Islands, West Coast Region, Southern Alberta, Thunder Bay, Toronto, Ottawa, and Quebec. Mission: Encounter promotes religious literacy and informed understanding of cultural diversity. Approach: Encounter is an educational organization that blends academic and experiential learning to foster encounters with the four P’s of religious communities: their people, places, practices and philosophies. Operates from Guelph Ontario. Has conducted sessions at CUC Conferences.